Now, there are many parents buy clothes and other things for your baby through the online store. And it's becoming the trending at this time. Cause conveniently, have many styles of clothing, have a quick view about the product... suit for your baby. And easy to buy all of them without queuing. Are you a salesman, aren't you? Does your online sell products for baby? This is top 5 themes Shopify for Baby Store which you should know. 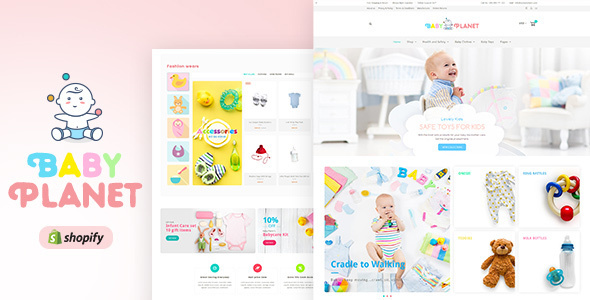 This is one of the most perfect theme Shopify for baby' online store. Cause this theme integrated features which fit with your customize: Multipurpose about Homepage variations, Drag & drop section, different grid view for the shop. There is some outstanding feature: Wide 7 Box, Slider Style, Colorful&Clean, Shortcode Page, Google,...Especially, it easy to use without coding and has a good code structure. I'm sure you won't spend too time and manipulation to do with your store. 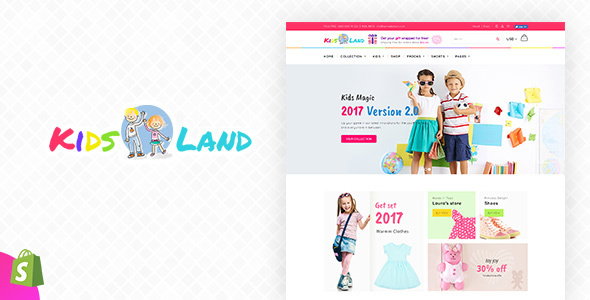 This is one of theme niche for baby' online store. It's friendly, clean and supports user as well. You won't worry issues about pop-up, it has a lot style megamenu and many other features. So wonderful! This is one of Shopify theme has a nice design. The user can create a nice page with it without taking a lot of time. It has multi about homepage variations, the layer slider is nice,... You will surprise about it! It multi about style megamenus and features for customer'online store. So you can select the things niche with your customer and your store. With this theme, you can style for your product page is better and have a nice layout. 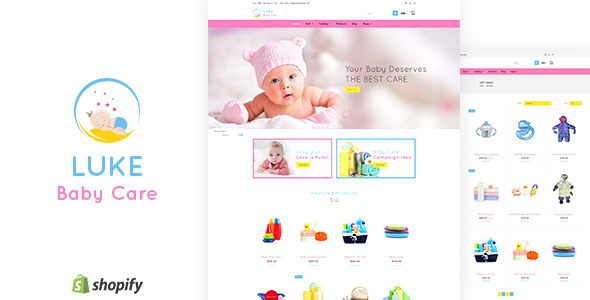 This is top 5 Shopify Theme for baby'online store. Hope you can choose the theme suit for your store. Good luck to you!